NO PREP and READY TO USE! 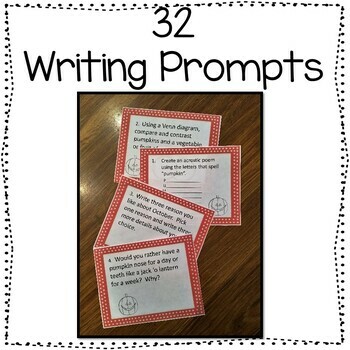 32 different writing tasks in October Pumpkin Writing Prompts address writing standards in grades 3, 4, and 5. And they are all about October and pumpkins!! 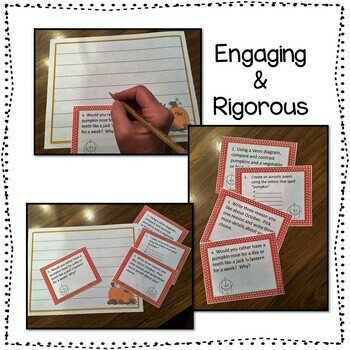 These pumpkins writing task cards could be used in centers, journal response morning activities, or a writing warm-up. 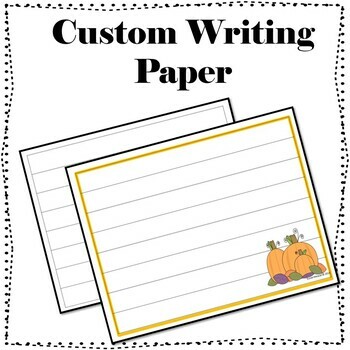 The pumpkin theme gives the writing activities a holiday feel and can help make the writing become a fun activity. 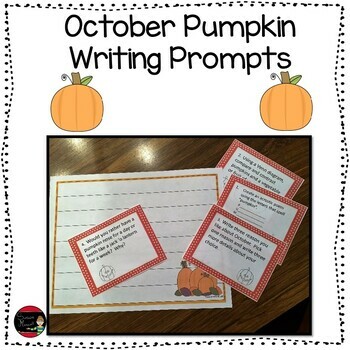 While October is traditionally seen as a month involving pumpkins, these activities can be used whole group or as a center activity all year There are also two pumpkin themed lined writing papers, color or a black and white version. Here are some other products you might love!